Skeptical Baby has had it with your corporate shenanigans. 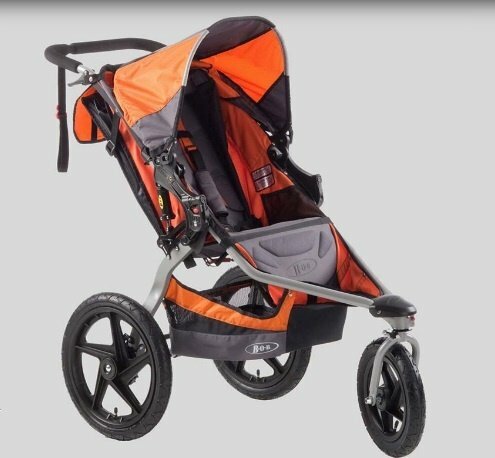 The Washington Post brings us a story about the Consumer Product Safety Commission and a popular brand of jogging stroller that had been named in 200 consumer complaints about the front wheel falling off. When that happens, the resulting crashes often involve the strollers flipping over, with babies falling out, parents falling over the strollers -- in one case, a dad tumbled over the stroller and landed on his two children, though nobody was badly hurt. Other parents suffered broken bones and torn ligaments, and some children broke teeth or bled from their ears. The manufacturer resisted a recall, insisting the stroller was safe and the accidents all resulted from users not following instructions. Under Democratic leadership, the CPSC sued to force a recall. Once Republicans took control of the CPSC under Donald Trump, they quickly settled the suit with no recall. This may be a story that happened during the Trump administration, but it's not really a story about Trump. Instead, it's a story about the pro-business attitude of Republicans in general, especially the conviction that businesses must be rescued from the profit-reducing burdens of onerous government regulation. It's about consumer "protection" in Galt's Gulch. The three-wheeled BOB jogging strollers, made by Britax Child Safety, are pretty popular and pretty pricey, retailing for $400 to $600. 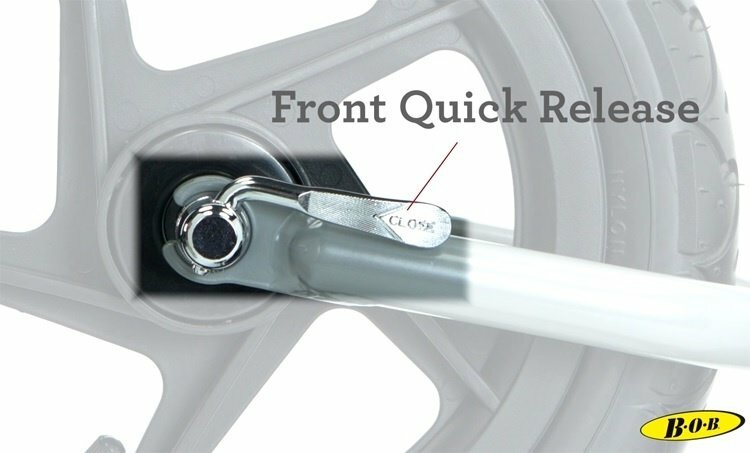 They feature a removable front wheel with a quick-release lever like you'd find on most bicycles. The CPSC received those 200 consumer complaints between 2012 and 2018, with nearly 100 reports of injuries, and after an investigation, decided in 2017 the strollers were unsafe and should be recalled. "The danger that was there was just so obvious," said Marietta Robinson, a former Democratic commissioner who was still at the agency when the injury reports surfaced. "It was appalling." Brtitax refused to do a voluntary recall, because it insisted the design had met safety standards when used correctly. The CPSC, still led by a Democratic majority appointed under Barack Obama, sued in February to force a recall of roughly half a million strollers. Britax fought the suit, which WaPo points out is not the norm: "Companies normally want to avoid public clashes with safety regulators, according to past and current agency staff members." In Buerkle's first two years as chairwoman, the number of companies fined for misconduct declined to five in 2017-2018 from 12 in 2015-2016. Public voluntary recalls fell about 13 percent during the same period, resulting in approximately 80 fewer recalls, according to agency data. Last year, the number of public recalls fell to its lowest level in a decade, consumer advocates say. And what the hell -- once Robinson was out and two Republicans were confirmed by the Senate, the new Republican majority on the commission voted in November 2018 to settle the lawsuit. After all, Britax insisted the quick-release front wheel was perfectly safe, and had even made a video in 2013 telling customers how to correctly install the front wheel. Not long after the video, Britax also added a tag to the strollers warning that incorrect installation of the front wheel could be dangerous, you idiots. The stroller's instructions told parents that "less than a half turn" of the quick release can be "the difference between safe and unsafe clamping force." Clearly, anyone whose kids went flying were just lazy idiots who shouldn't be trusted with a perfectly safe stroller or with children. Problems with other quick-release mechanisms have led to voluntary recalls by other companies, including 18 different bicycle brands recalling more than 2 million bicycles in 2015. And in fact, Britax also redesigned its front fork and quick release in 2016 too, for "added safety and usability," as the company put it in a news release. Hooray! Bummer about the 500,000 pre-redesign strollers still out there with their wheels coming off -- due to bad parents, mind you, and nothing more. As recently as October, a father reported to the agency's consumer complaint database that his BOB double-seat stroller lost its wheel while he was jogging, causing his two children to fall face first to the ground as he flipped over the stroller and landed on top of them. In its defense against the lawsuit, Britax insisted its earlier design had already met safety standards when it went on the market, so what more do you monsters want? That was the point Britax's attorney, Timothy Mullin, made during a prehearing meeting in May about the litigation, according to a transcript obtained by The Post. The tires didn't come off during testing, even with the quick release unlocked, Mullin told a judge, because of small indents that create a secondary retention system. That's correct, replied assistant general counsel Mary Murphy, the agency's attorney. The stroller passed a test in the lab. But, she said, "it does not replicate what happens in real life, which is what we're seeing when we have these defect scenarios." Murphy continued, "The fact that there is a standard is not a bar to a defect finding." Consumer groups confirmed it's not at all unusual for products to be recalled even if they had passed minimal testing, based on problems that emerge in real-world use. But hey, in the brave new world of Republican consumer "protection," you're on your own. Once there were enough Republicans on the CPSC, the lawsuit was quickly settled with no recall necessary, just a "public safety" campaign to inform consumers of how to correctly attach the wheel, and an offer of replacement parts or discounts on a new stroller with the updated design. The offer was limited to certain strollers made before October 2015 and was available for a single year, features that consumer advocates say make safety efforts less effective. But hey, now that the Post has written about it, that video is up to over 900 views, so at least somebody's getting some good out of it, if not the owners of those 500,000 pre-2016 strollers! What Respondent is (too) quietly offering goes beyond a mere information campaign; it is a program for corrective action to modify and repair strollers for those consumers dogged enough to pursue a remedy that would actually make their strollers safer. "Information campaigns are usually garbage," Kaye said. "When one is genuinely seeking to protect consumers and the public, you almost never rely on an education campaign to do the job." It truly is a new day in Galt's Gulch! Don't expect the government to keep you safe, America -- the invisible hand of the Free Market will weed out the bad actors, maybe. But don't expect it to keep your stroller's wheels from coming off -- that's on you. Yr Wonkette is supported by reader donations. Use Wonkette only as directed. Donations to Wonkette are no guarantee that you will not scream at your new Republican overlords. In fact, you probably need to.